Get your calendars out, because DBW's Summer 18 is booked and busy. See below for important dates for everything from Circles to conferences to parties to pitches. Stay tuned for more details and updates. DBW's parties are LIT! A safe space for Black women to get loose without a care, eat good, dance our asses off and make connections. Stay tuned! Come through for our all DBW photoshoot by Kai Dowridge (#HireABlackWoman), followed by a picnic! 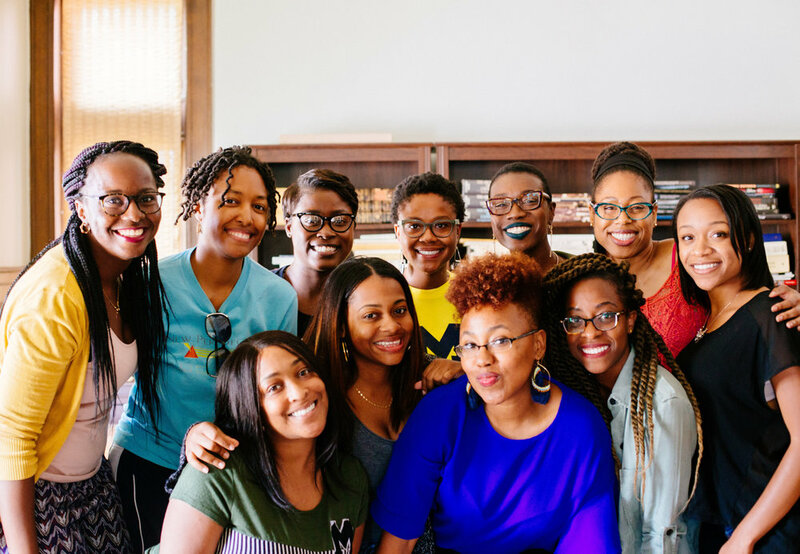 Come show up and show out as Dear Black Women's founder Flo shares the vision for Dear Black Women growth and impact in a room of entrepreneurs, developers, students, marketers, lawyers and investors. Location: Detroit, MI | Location to be announced. Location: Ann Arbor, MI | Location to be announced. Location: Ann Arbor, MI | Click for details. Dear Black Women's founder Flo will lead a DBW Circle at the 20th National Allied Media Conference in Detroit! Our session is called, "Dear Black Women: The Power of Black Women Affirming Ourselves" and is a space for all trans and cis Black women. AMC centers the voices of so many of us in a way that doesn't often exist at this scale. So, we are geeked to be able to bring DBW to AMC.